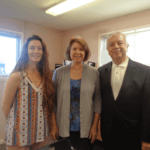 Welcome to the RPOA Member Spotlight! We’re highlighting a different member of the RPOA each quarter and sharing their experiences and stories. 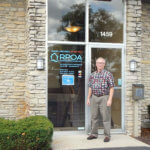 In the RPOA Member Spotlight, members let you in on what it’s like to be an exclusive part of Michigan’s largest REIA. If you or someone you know would like to be featured, you can email information to: kristinak@rpoaonline.org. This quarter's Member Spotlight features Bob Ortiz, founder of the RE/MAX Grand Rapids franchise and RPOA member for over 30 years. Read Bob's full story here. 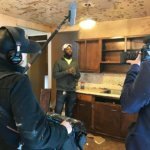 This RPOA Member Spotlight features affiliate member Jeremy Cole who just landed a pilot episode of TV show "From Gritty to Pretty" on the DIY Network! Hear all about what lead up to Jeremy's success in this feature article. Read Jeremy's full story here. With the RPOA fast approaching its 50th anniversary, we thought there was no time like the present to highlight someone who remembers the RPOA in its infancy. For this quarter’s Member Spotlight, we sat down with early RPOA member Steve DeKoster. You can read Steve's full story here. If you’ve been paying attention at all, you’ve probably noticed an increasing number of women are now actively involved real estate. 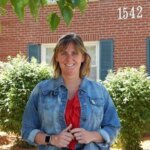 Some own their own property management company—like our member in the spotlight this quarter, Kathy Dennison-Adrianse. Read Kathy's story here. 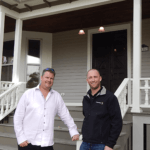 What happens when James Eerdmans of American Realty buys a shell of a home with a derelict and tragic past in the heart of the Historic District of Heritage Hill? He changes its stars. Read James's full story here.